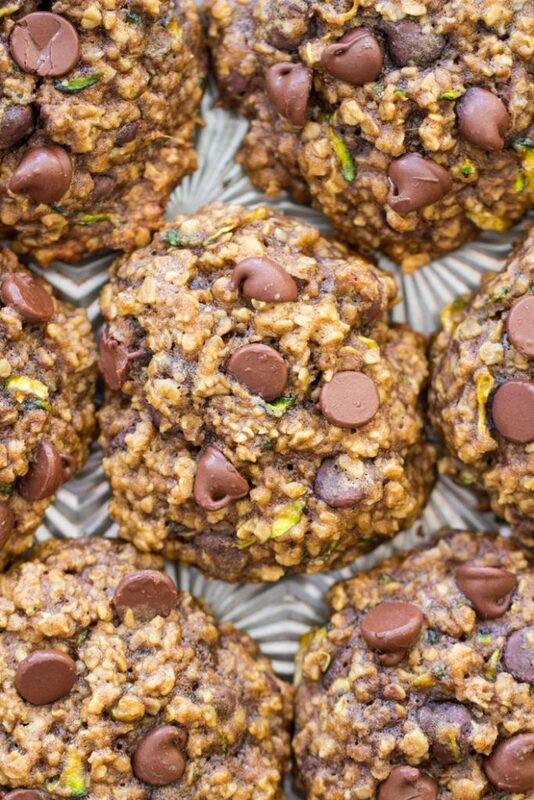 The softest, chewiest oatmeal cookies, with a touch of spice, laced with melty nuggets of semi-sweet chocolate, and ultra-moist from grated zucchini. 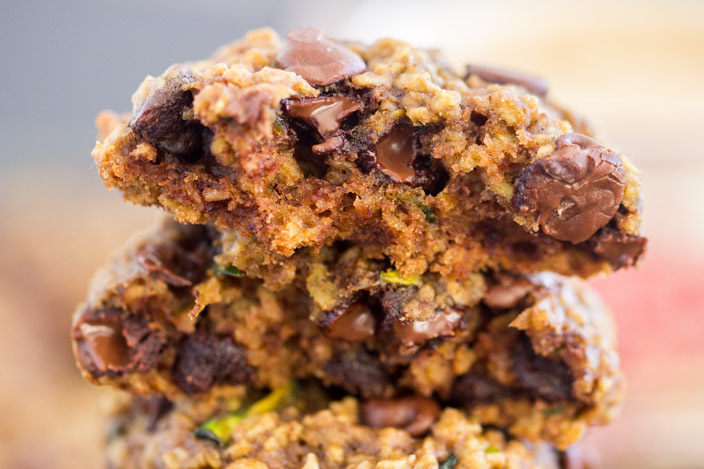 These Oatmeal Chocolate Chip Zucchini Cookies are irresistible. 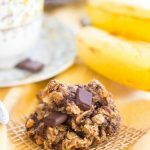 They’re super quick & easy to prep too! Yeesh, I actually forgot how many zucchini recipes I made this season. I knew I’d prepared a bunch, but I thought it was 3 or 4, not 7. Yeah, it’s 7. These Oatmeal Chocolate Chip Zucchini Cookies were an accidental bonus zucchini recipe. 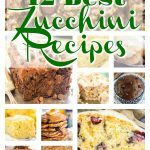 I kept ending up with odd increments of grated zucchini, and in an effort to use every scrap, I made zucchini recipes until I was finally plumb out of zucchini altogether. Although I made these last of my zucchini line-up, these are not the last zucchini recipe I’m sharing this summer. I have a few others. 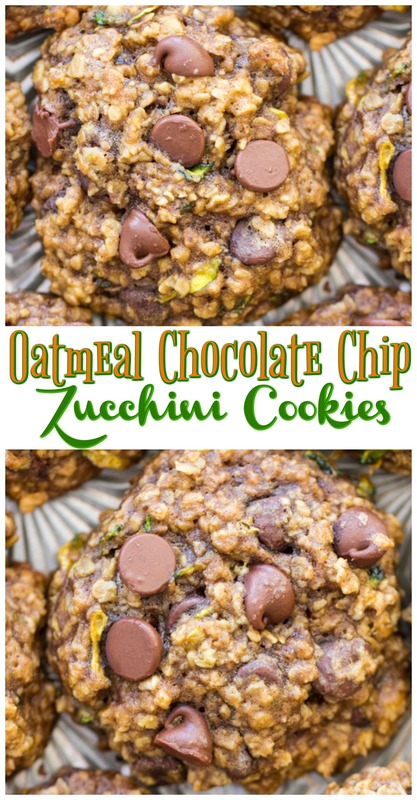 These Oatmeal Chocolate Chip Zucchini Cookies are just what I’m in the mood to share next. Why? I’m craving them! Desperately! They’re incredible. I want a batch of these ASAP. Fortunately, they’re not difficult, and they come together pretty quickly. I could start these right this second, and be eating them in like 30 minutes, hot from the oven. Except that I don’t have zucchini. 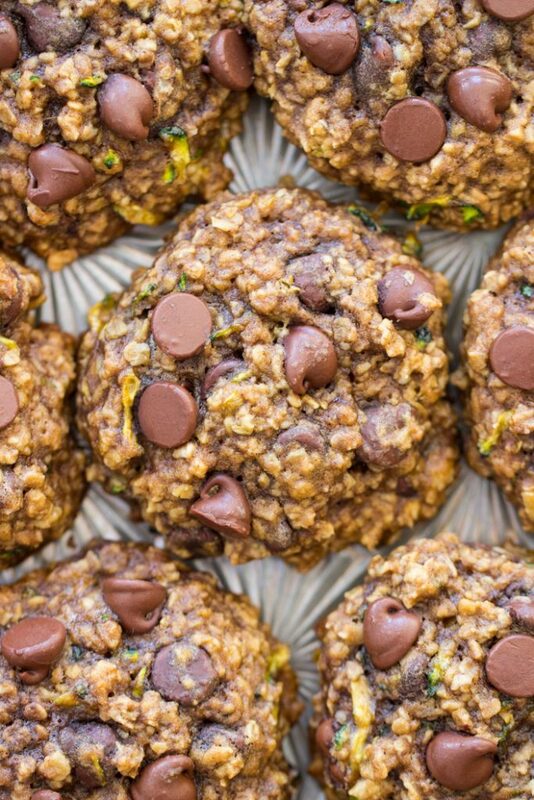 I really hate going to the grocery store, and I was just there yesterday, but I’m tempted to make a special trip for zucchini because I want these cookies so badly. Better still, maybe I can get my S.O. to stop for zucchini. He’s a good grocery gopher. These are special. 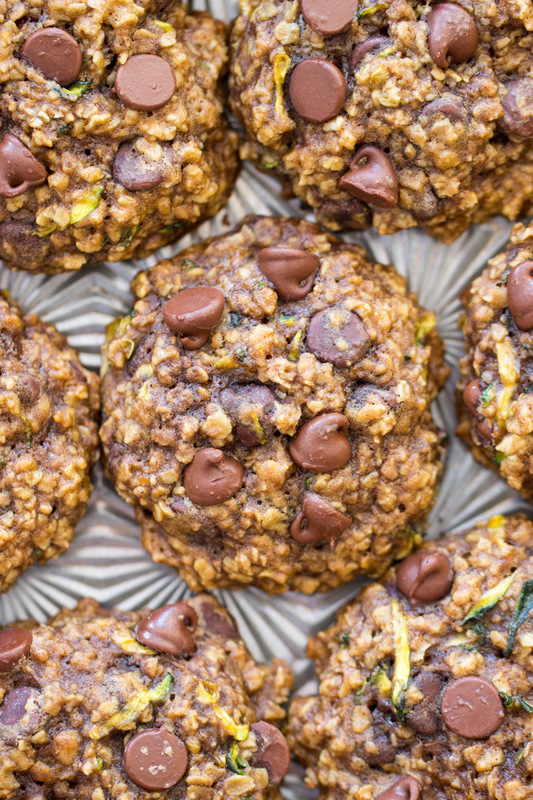 These Oatmeal Chocolate Chip Zucchini Cookies are seriously special. Softest oatmeal cookie ever. Not a crispy cookie at all, but rather, the world’s most soft oatmeal cookie. As soft as they are, they’re not cakey though, they’re more chewy! I’m not big on cakey cookies. Surely that’s the oatmeal coming through on texture. 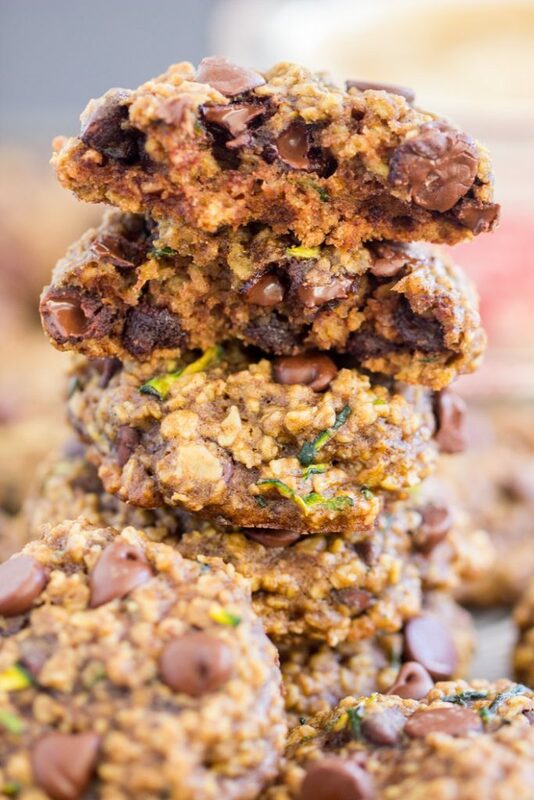 The zucchini too, of course, and the zucchini is bringing home some major moistness in these cookies. 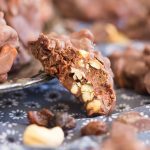 A touch of cinnamon adds spice, and a touch of cocoa powder for an extra boost of chocolate, but the semi-sweet chocolate chips really shine in these cookies. Big gobs of melty semi-sweet chocolate. 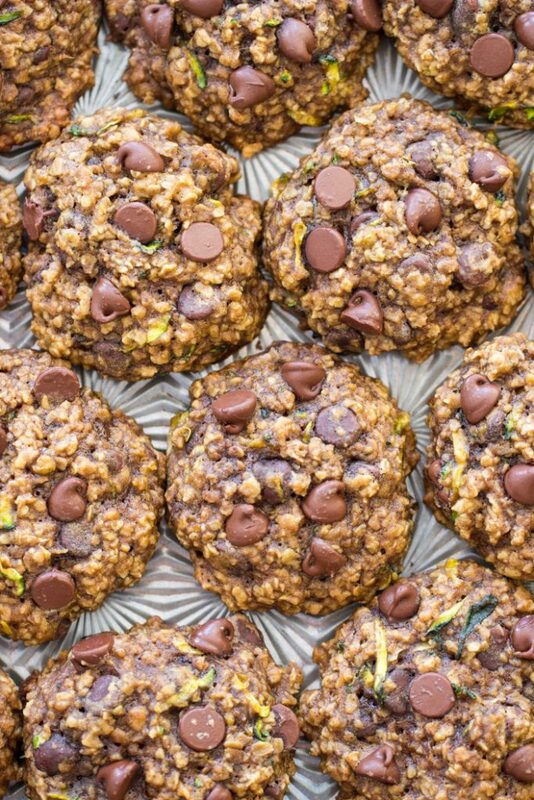 I really am going to the grocery store for zucchini now because I’m dying for a few of these chocolate-vegetable cookies. 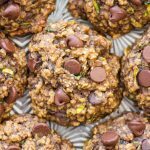 You’ll be amazed at how delicious a vegetable cookie can be when it’s these Oatmeal Chocolate Chip Zucchini Cookies. A few other zucchini recipes I’ve shared since last summer are this Lemon Blueberry Zucchini Bread, these Death by Chocolate Zucchini Brownies, this Chocolate Zucchini Coffee Cake, this Orange Zucchini Bread, this Zucchini Banana Bread with Streusel Topping, and these Blueberry Zucchini Bread Pancakes. Sooooo many delicious ways to use up zucchini! The softest, chewiest oatmeal cookies, with a touch of spice, laced with melty nuggets of semi-sweet chocolate, and ultra-moist from grated zucchini. 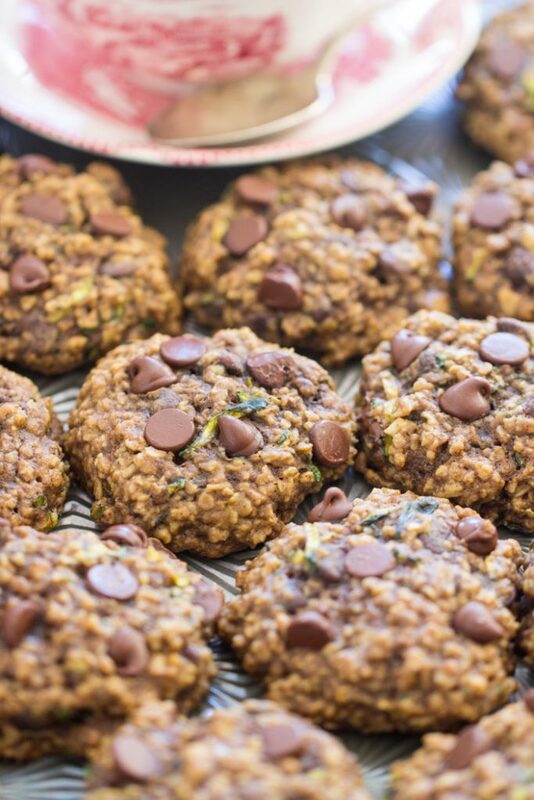 These Oatmeal Chocolate Chip Zucchini Cookies are irresistible! Quick and easy to prep too! In a large bowl, whisk together quick oats, flour, cocoa powder, baking soda, salt, cinnamon, and brown sugar. In a small bowl, whisk together butter, egg, and vanilla. Add the wet ingredients to the dry ingredients, along with zucchini and 1 cup semi-sweet chocolate chips. Stir until incorporated - batter will be thick and quite heavy. Drop dough by rounded tablespoonful (golf ball-sized) onto parchment paper or silicone mat-lined baking sheets, and flatten slightly. Press 4-5 additional chocolate chips on top. Bake at 350 degrees for 12-15 minutes, or until centers appear set and edges are lightly browned. Remove from heat, and allow to cool on baking sheets for 2-3 minutes before removing to wire racks to cool completely. 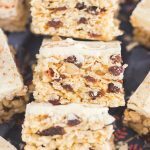 So fun to see this recipe, I once had a recipe that was very close to this, mine used butterscotch chips, either way, they are really good! Thx! 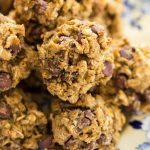 Oatmeal Scotchies are one of my all-time favorite cookies!! I’ve never made them with zucchini, but now I’m thinking I should. I love that idea!